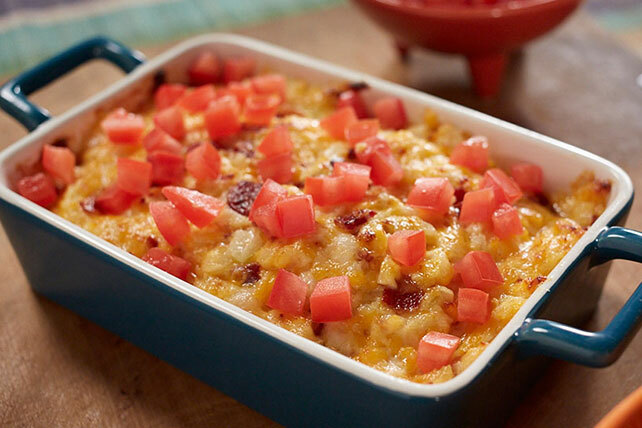 Studded with bacon crumbles and onions and topped with plum tomatoes, this baked cheddar dip is sure to be the star of the potluck party. Combine all ingredients except tomatoes. Bake 35 min. or until golden brown and bubbly. Top with tomatoes. Serve with crackers and/or cut-up fresh vegetables.